Traditional comfort meets modern style. The Calvillo sofa was designed to optimize comfort: a high backrest, comfortable cushioning and suitable seat height maximize relaxation. A solid birch frame, foam cushioning and Grey linen upholstery set the stage for contemporary style. 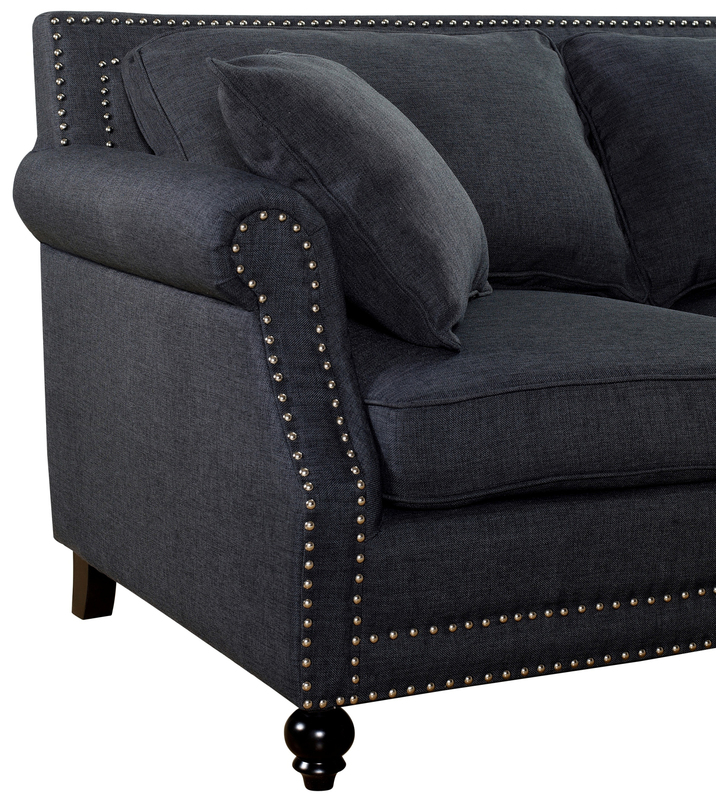 Featuring hand-applied nail heads and black wooden legs with non-marking feet. All cushions are removable and can be repositioned for utmost comfort.